Easy Feel Extender Plus Carrier Colbolt is now available at Sling Spot! Extend your love with the Easy Feel Extender Plus Carrier, One carrier for toddler plus preschool. When you choose the Extend Plus, you are choosing more than just a child carrier. Easy Feel Products understands that wearing your child is an extension of your love. 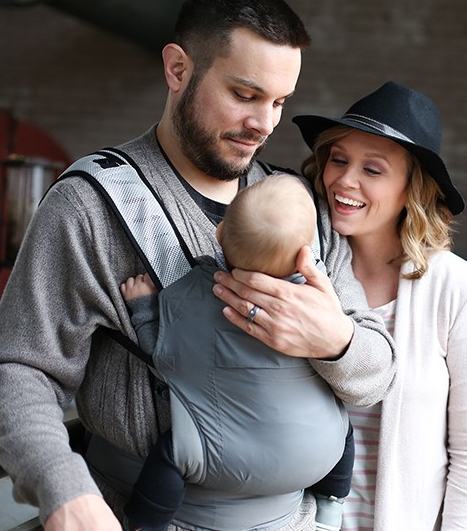 They created the Extend plus, their first adjustable carrier, so that you can keep your child close as they grow. An adjustable panel width and height, dual adjust shoulder straps, and perfect fit adjusters make it easy and feel great, too. 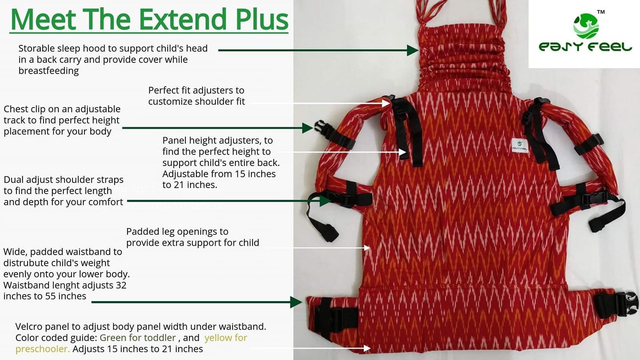 Just snuggle up your child, and you will see why the Extend Plus is the one carrier to keep your baby a close a little longer, from toddler into preschool. The carrier is also super comfy! The shoulder straps and waistband are wide and well padded to help spread the weight of the child more evenly. This innovative, adjustable carrier is available in a range of colours and designs. Each carrier is checked at manufacture and double checked to ensure that you can enjoy freedom without worrying about your child’s safety, and it meets the minimum safety standards.